This latest installment of the column is going to focus heavily on games, even more so than in previous weeks, due to E3. 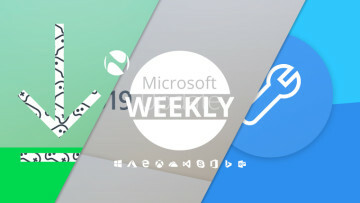 Of course, other news about Redstone 5 previews and a rather exciting look at the company’s hardware roadmap are all here in your Microsoft digest for the week of June 9-15. 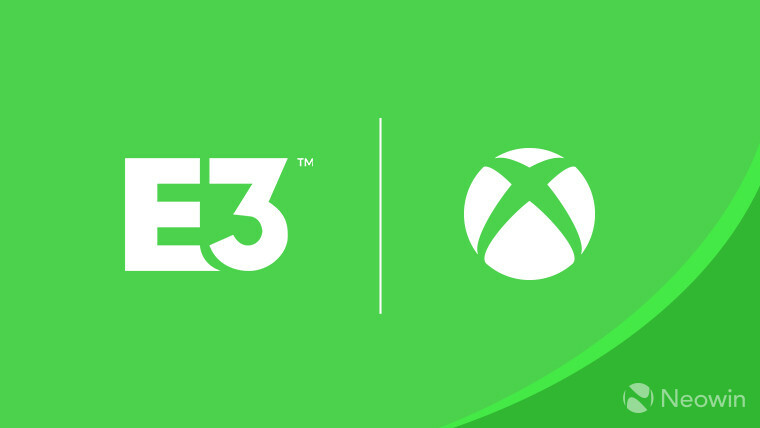 One of the biggest gaming events of the year, the Electronic Entertainment Expo (E3) took place this past week, and Microsoft was there to showcase a number of titles. Much like in 2017, the company held a 100 minute conference, this time at its Microsoft Theater in LA, where it showed off a number of first- and third-party games. All in all, 50 titles were presented, ranging from indie to AAA, and created by studios from Japan to Poland. The show opener was Halo Infinite, a brand new entry in the series, which utilizes 343 Industries’ new SlipSpace engine. This was followed by Ori and the Will of the Wisps, with its gameplay-focused trailer and 2019 release window. Also in 2019 we’re getting FromSoftware’s newest game, Sekiro: Shadows Die Twice. This year however, we’ll be getting Fallout 76, which had its world premiere on the Microsoft stage. In quick succession after that were The Awesome Adventures of Captain Spirit, Crackdown 3, and the announcement that NieR: Automata would be coming to the Xbox One. Then, we got a February 22, 2019 release date and extensive trailer of Metro Exodus, contrasted by the upbeat and equally extensive look at Kingdom Hearts 3, which comes out in January next year. Straight afterwards we got a trailer for Sea of Thieves’ upcoming DLC, Cursed Sails – which is coming in July – and Forsaken Shores – headed towards the game in September. While you wait, the 1.1.2 update is now live, bringing a new Skeleton Thrones event and a number of bug fixes. A Battlefield V trailer was next, as was Forza Horizon 4 with its UK setting and emphasis on the dynamic seasons’ effect on gameplay. Following the barrage of trailers above, we got a bit of a breather for the next segment. Xbox Head Phil Spencer came back on stage to announce a number of changes to the Microsoft Studios organization. First off was the creation of The Initiative, a brand new Santa Monica studio with very few details given in regards to its focus. Then followed the announcement of four studio acquisitions: Undead Labs (makers of State of Decay), Playground Games (Forza Horizon), Ninja Theory (Hellblade: Senua’s Sacrifice) and finally, Compulsion Games. The latter’s project, We Happy Few was shown off in a trailer and got an August 10 release date at long last. PlayerUnknown’s Battlegrounds’ new map and mode were both showcased in a new trailer, as was the Definitive Edition of Tales of Vesperia. To balance things out was a mixed and extensive cinematic and gameplay demo of The Division 2. The next segment was focused on Microsoft’s ‘Netflix for games’, the Xbox Game Pass. A number of improvements are coming, like FastStart, which should be available for select titles in the console’s June update. Folks willing to go the preview route and test out new things can go ahead and sign up for the Skip Ahead ring. Following the now traditional ID@Xbox sizzle reel, we got to see Shadow of the Tomb Raider, a skating game called Session, a fall beta announcement for Black Desert Online, and a world premiere trailer for Devil May Cry 5. Afterwards was the turn of Cuphead with its 2019 DLC ‘The Delicious Last Course’, and an indie titled called TUNIC. The next bit of the conference was focused purely on world premiere trailers and gameplay demos, as emphasized by Phil Spencer on his return to the stage. This was kicked off by a trailer for Bandai Namco’s anime fighting crossover title Jump Force, a trailer and gameplay demo for Dying Light 2, a surprise announcement for the Battletoads remake in 2019 and the tornado-filled trailer for Just Cause 4. As part of a trifecta of showcase entries from The Coalition, we got to see an announcement for mobile title Gears POP!, then the turn-based strategy entry Gears Tactics, and of course, the main series game, Gears 5. And lastly, there was a recap speech from Phil Spencer, in which the exec reiterated the company’s commitment to the Xbox, hinted at the fact that the next generation console is in the works, and underlined the elimination of friction between gamers and their games. As such, Spencer stated that the company is looking to build a game streaming network to unlock “console-quality gaming on any device.” The event was then capped off with the world premiere of an in-engine trailer for CD Projekt RED’s Cyberpunk 2077. For those not able to attend, there’s a tour of the on-site experience, coupled with some news from outside the event. On the one hand, there’s Seagate’s new Game Drive external SSD for the Xbox One, the pre-order availability of the Adaptive Controller, and the existence of the newly-launched Xbox Merchandise Store. Previews for every conceivable piece of software have become more commonplace over at Microsoft, so it’s no surprise the company has pushed out a few this week. First in line is build 17686 of the Windows 10 SDK, which only bumps up the number without adding any new features. A little further ahead, build 17692 from the Fast ring brings a number of Game bar and Game Mode, Narrator, Ease of Access, Edge, and Search improvements. 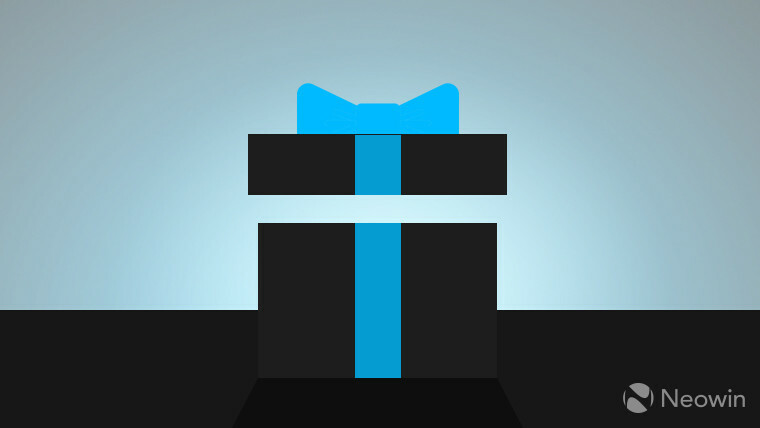 There’s also now support for the SwiftKey keyboard and thus, its accompanying writing style. 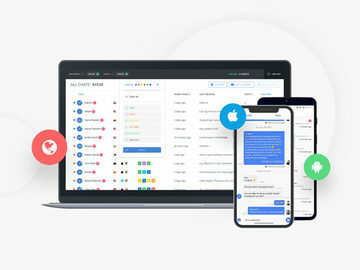 There are a number of fixed issues relating to various system and app crash causes, but there’s also quite an extensive list of known issues like those related to Narrator or the use of a Picture Password. 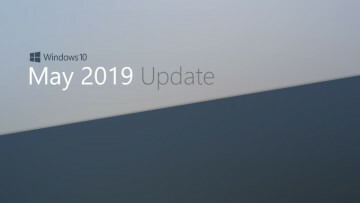 Changing operating systems a tad, the Office 2019 for Mac preview is now available for commercial users, which might presumably showcase the newer and simplified ribbon sometime in the future. Do keep in mind that the aforementioned ribbon redesign is part of a Fluent Design overhaul of the Office suite, and will come to Word Online this month, followed by Outlook for Windows next month. 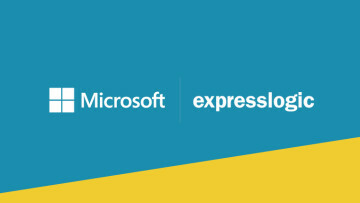 April 2018 Update (1803): KB4284835, build 17134.112 – brings a number of reliability and security improvements to the system, as well as Microsoft Edge and Internet Explorer in particular. One known issue relates to accessing files using the SMBv1 protocol, in which case you’ll get the “An invalid argument was supplied” error. To fix this, enable SMBv2 and v3 on both the SMB server and client. An official fix will be supplied by Microsoft later this month. Fall Creators Update (1709): KB4284819, build 16299.492 – has the same fixes as the version above, but comes with two known issues. Both stem from the use of Device Guard on localized systems, which causes certain phrases to appear in English instead of the localized language. Fixes are being worked on by Microsoft. Creators Update (1703): KB4284874, build 15063.1155 – same set of improvements, no known issues. Anniversary Update (1607): KB4284880, build 14393.2312 – same set of improvements, one issue related to the creating shielded VMs. Microsoft is working on a fix. Windows 10 RTM (1507) – same set of fixes, no known issues. Windows 8.1, Server 2012 R2: KB4284815 – a less extensive set of fixes similar to the ones above. The security-only equivalent here is KB4284878. Windows Server 2012: KB4284855 – same set of fixes. The security-only update is KB4284846. 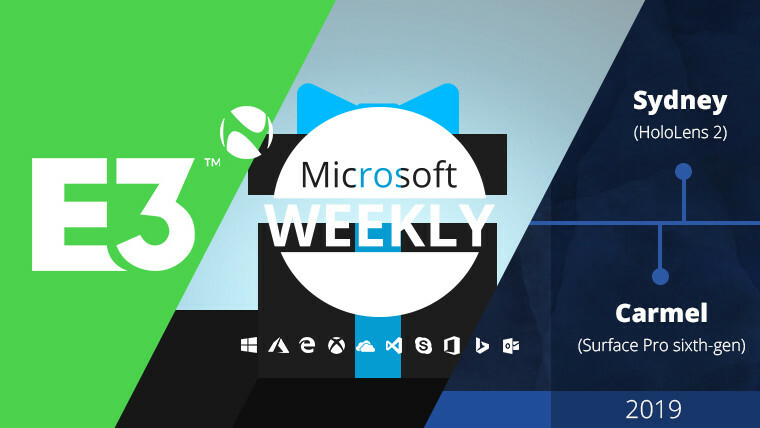 News regarding software isn’t the only related to Microsoft that surfaced this week. In fact, the appearance of a nifty little outline of upcoming hardware iterations was a nice surprise. On the one hand, there’s the news of a patent related to the Surface Pen, whereby the device would be fitted with a “light harvesting unit” to generate energy. In essence, this seems to be a solar-powered Surface Pen. The patent is from 2016 and was only published this week, so there’s no indication how far into prototyping – if at all – Microsoft is. News about Microsoft’s AR HMD, the HoloLens, also appeared this week. Specifically, the fact that the device’s next iteration might make use of Qualcomm’s XR1 platform, which is designed to optimize “high-quality video, audio, and interactive experiences on 'eXtended reality' (XR) devices”. This is even more interesting due to another report which claims that the latest version of the HoloLens – essentially version 3.0, because version 2.0 was skipped internally – should start shipping in Q1 of next year. Codenamed ‘Sydney’, it is expected to be lighter, more comfortable, and have much improved displays (hopefully in the FOV department as well). Last but not least is a pretty big leak of various device codenames from Microsoft. 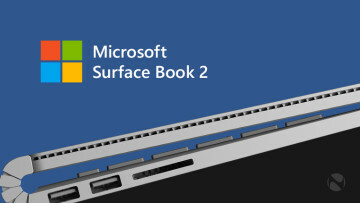 First off is Libra, the codename for the low-cost Surface device – most likely the latest version of the Surface 3 -, said to be shipping later this year. Then we have Carmel, the sixth-gen Surface Pro which is probably going to be available mid-2019 according to Mary Jo Foley, and should see a pretty significant design refresh. According to Foley, Surface Pro and Laptop refreshes with eighth-gen Intel processors are also in the works. 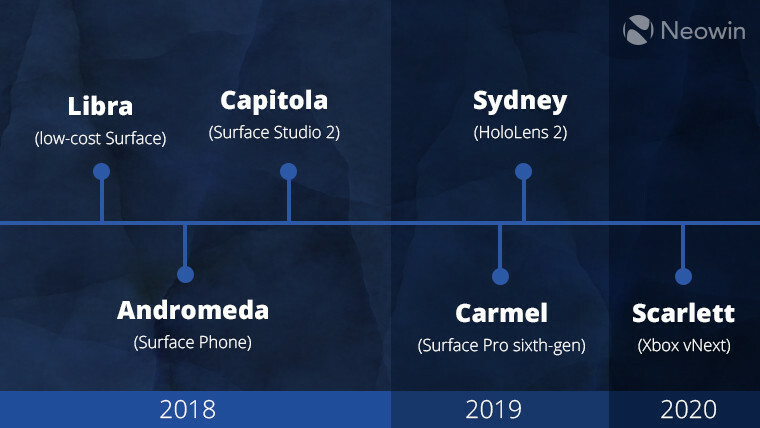 Capitola is up next, as the codename for the Surface Studio 2, which unfortunately does not have any kind of release time frame, speculated or otherwise. Finally, there’s Andromeda. This is the dual-screen, folding mobile PC that’s sometimes referred to as the Surface Phone. The surprising part is that this is on track to arrive this year. If no delays are going to interfere with the above timeline, the rest of the year should be a rather interesting time for Microsoft. Microsoft might soon let users install Windows 10 apps remotely from the Windows Store website. A critical flaw was found in Cortana that enabled an attacker to bypass locked devices. Microsoft and Thales have partnered to create a defence-focused cloud solution for the armed forces. Windows Template Studio is now at version 2.2. The Redmond giant is looking to eliminate cashiers and checkout lines, in a similar way to the Amazon Go stores. A free version of Microsoft Teams may be coming soon. Split view support on iPad comes to the latest beta of Microsoft Edge on iOS. Microsoft seems to be working with WhatsApp to bring the app to UWP. Previously the preserve of beta testers, the new family safety features in Microsoft Launcher are now available in the stable release. Hot corner is a section of The Fast Ring dedicated to highlighting five Microsoft-related stories that haven’t been covered over here, but might be of interest. Improvements to document versioning are coming to OneDrive and SharePoint Team sites to Office 365 First Release users in June, and the rest of the tiers worldwide in July. 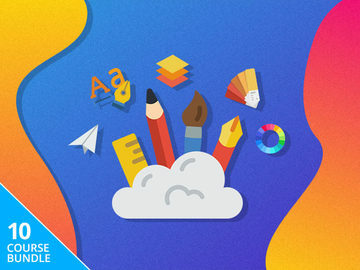 The latest update to Office 2016 for Mac brings SVG, Microsoft Translator, multiple hyperlink colour support, and more. Admins are now able to control the behavior of files using the Encrypt-Only template, specifically whether they appear encrypted to those not using Office 365. Microsoft has announced a new investment into Wild Me via its AI for Earth program. Azure Kubernetes Service (AKS) has now reached its general availability phase. Since E3 week has just wrapped up, it seems sensible to end on a bit more news surrounding the next version of Xbox. On Tuesday, a report came out that stated Microsoft was looking to launch its next wave of Xbox consoles, codenamed Scarlett, sometime in 2020. 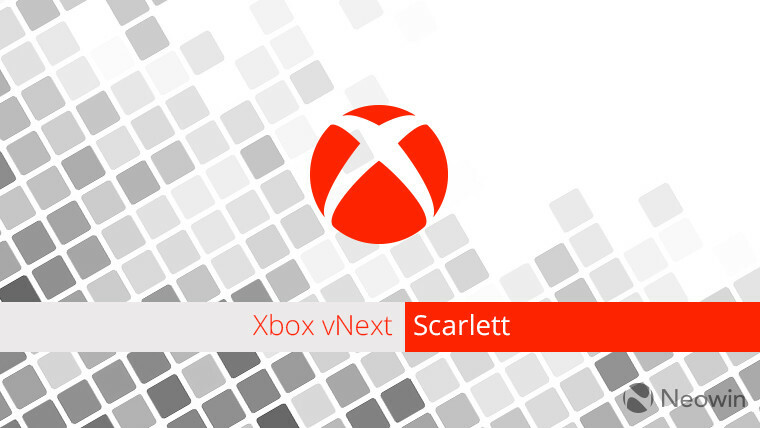 The main difference here is that Scarlett is not just one device, rather the codename for the entire family of Xbox vNext consoles. The existence of multiple such devices was even hinted at by Spencer in his closing speech for the E3 2018 Xbox Briefing in which he said that “the same team that delivered unprecedented performance with Xbox One X is deep into architecting the next Xbox consoles”. In a separate interview, the exec shared what in his view are the goals for the next generation, specifically pointing out improvements in FPS (presumably shooting for the 60FPS minimum) and faster load times. The latter has already been somewhat kicked off by the upcoming FastStart feature for Xbox Game Pass. In lieu of leaks and other unofficial reports, the most likely event where we’ll get more info on Scarlett is probably next year’s E3. This is where the initial info and name reveal for the Xbox One X and One S also showed up. We’ll just have to wait and see. Missed any of the previous columns? Be sure to catch up!